Sindy doesn’t like to plan ahead, preferring each day to be a wonderful surprise. The one thing she does plan is her wardrobe, making sure her outfit works for whatever the day brings. This auburn-haired free spirit teams pretty dresses with casual jackets for a look that works for any occasion. It might be a day at the shops with friends, a trip to the theatre with her family or a dinner date. Sindy likes to accessorise, pinning a fresh flower in her hair or throwing on a vintage belt. 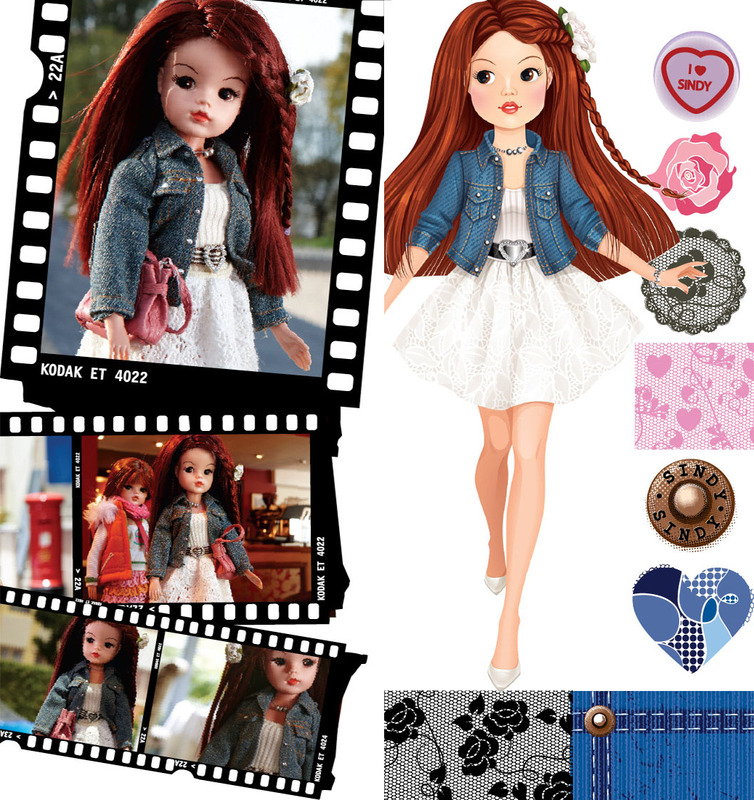 Lace and denim are staples of Sindy’s style. She adores the contrast of delicate and practical fabrics, dressing down a pretty party dress with a casual denim jacket. When the sun goes down, she simply takes off her jacket for instant glamour.